For those of us who remember such as a thing as a 1200 baud data connection, over a hissy, dial-up telephone connection, this may be hard to digest, but here it is: The “high-speed” part of “high speed data” hardly matters anymore. Why: Because what matters more is capacity and throughput. Fast is fast, and fast is nearly ubiquitous, in North America. When was the last time you complained about a slow connection (hotel rooms excluded)? When was the last time a reboot of the modem didn’t fix it? The marketing of data services, from the days of the dial-up telephone modem to now, uses speed as the basis for greatness. 1200 baud, 2400 baud, 9600 baud, all the way up to today’s offerings of 100 Gigabits per second and higher. But there comes a time when the speed gains just aren’t noticeable anymore. At some point – let’s say 50 Mbps, like several operators now offer as a high-end tier – it’s difficult to discern whether that web page really loaded any faster. 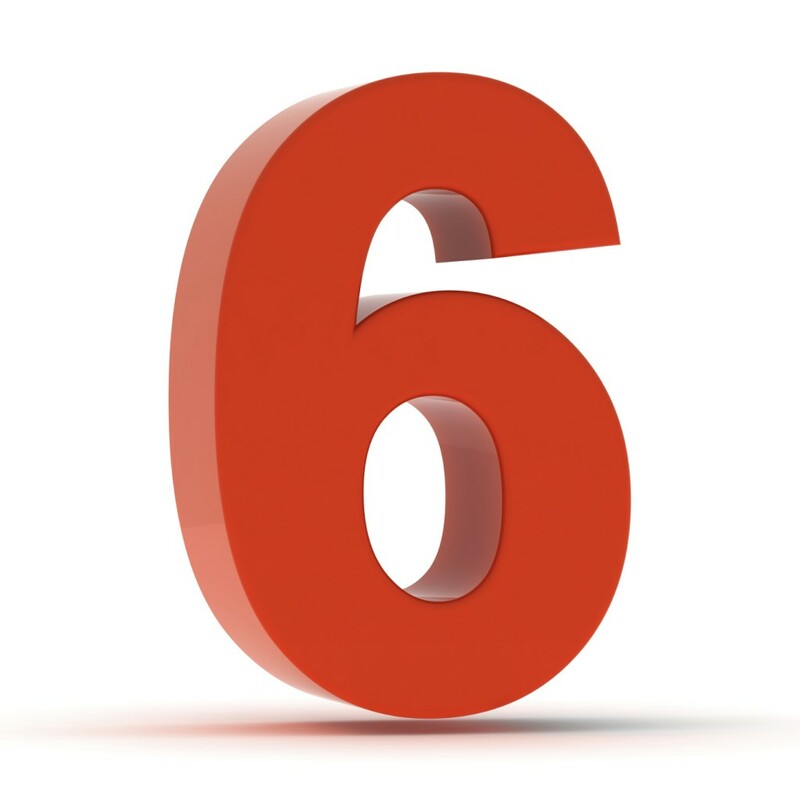 Consider a home with five HDTVs, all on, and a cable modem attached to a wireless router spraying signal to five IP-devices, all doing something big – streaming video, or backing up files to a cloud-based server. In the same home, five VoIP phones, all in use. All in, that house is consuming perhaps 30 Mbps of capacity, in that moment (assuming MPEG-2 compression on the video.) Yet their subscription tier supports, say, 10 Mbps downstream, and 2 Mbps upstream. Herein lies the difference between “speed” (10 Mbps) and “capacity” (30 Mbps of usage on all screens.) One measures how fast one machine connects to another; the other measures how much stuff one can push through a connection. Going forward, “fast” will be assumed. The differentiator will be the ability to serve up “fastness” to the increasing number of things in our lives that require or work better with an IP connection. Already, MSOs are anticipating an average of six IP-connected screens in homes by 2015; some friends in this geek-o-sphere already count 70+. For cable, discussions about network capacity for IP-delivered services correspond to the channel bonding feature in DOCSIS 3.0. Already, some operators are bonding as many as four digital channels to carry IP-based traffic – web browsing and voice, of course, but also subscription video, both linear and on-demand. 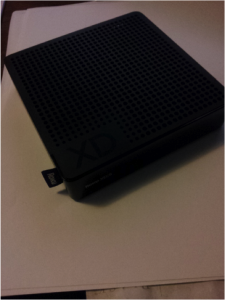 Ultimately, to simulcast the linear lineup in IP, they’ll need to bond 24 to 30 digital channels. By now, most major cable providers are mostly deployed with DOCSIS 3.0 capabilities. That’s good, because it’s designed to withstand what’s coming. 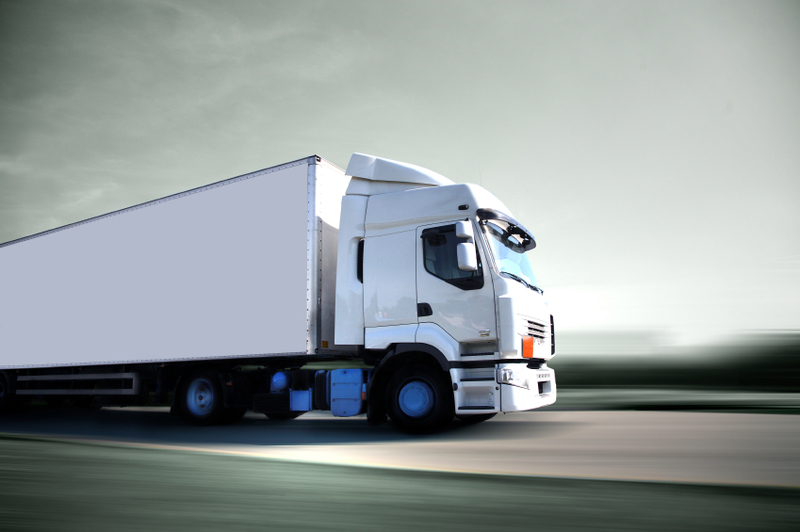 In speed, and in throughput. Last month, my iPad life improved all the more. Why: Amazon’s Instant Video app entered the iPad scene. The app combines content from Amazon Prime and Amazon Instant Video. Like iTunes, Amazon lets you purchase or rent video content for download, and includes a “Season Pass” feature for episodic TV – with day-after viewing access. By contrast, Netflix currently offers about 50,000 unlimited streaming titles; iTunes advertises around 75,000 titles for purchase or rental. More content, unlimited streaming, plus this kicker: They aren’t kidding about the “Instant” part. You buy it (or rent it), you stream it. Instantly. iTunes makes you download the content to your device before watching it. Here on the farm, my DSL line tops out at about 4700 Kbps, which necessitates waiting 90 minutes or so before a typical 2-hour movie is ready to play. And even then, there’s a good chance the buffer runs out before the video ends. How does the Amazon Instant Video app perform? A lot better now than it did initially. Hello, Amazon, are you out there? Not ok, ok? This sort of issue is likely more pronounced in low-bandwidth situations (the farm, for example,) but it’s a sharp contrast to the Netflix app, which uses adaptive streaming well enough that the video almost never hangs up. Fortunately, an early update added search functionality, and also seemed to fix a lot of those technical issues. Though the app still crashes and reloads on occasion, it’s now improved to the point being reasonably stable. The lack of a search feature, however, seems like something that should have been built and included before the app was released. I was also a little disappointed when I realized the AirPlay icon, which I assumed would let me stream the video to my Apple TV, only streams audio from the Amazon app. So the video keeps playing on the iPad, while you get sound only from the TV. Weird, right? While I don’t find that scenario particularly useful, I do use this feature quite a bit to connect to my Jambox speaker. 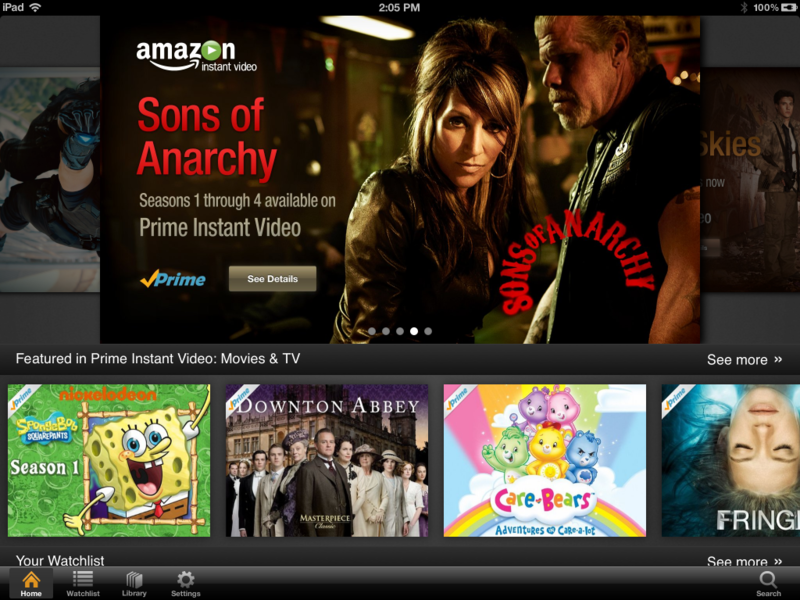 Bottom line: The Amazon Instant Video app, despite its initial glitches, brings a huge selection of content to the iPad. For cord-cutters, the app makes it possible to purchase full-season and next-day access to premium shows — without the download buzzkill of Apple’s video eco-system. While one-day-after access is a far cry from the ability to watch live TV on the iPad (as we can in the lab, with AnyPlay), Amazon still does a nice job of filling in the gaps between Hulu and Netflix. I’ll give it a B+. When Does the 6 MHz Channel Go Away? Here’s something happening in the tech background that rattles the origins of television: The undoing of the 6 MHz channel spacing, common to broadcast and cable television since the 1940s. What’s going on? Progress, in the form of advanced modulation and distribution techniques (here’s that migration to IP again) seeking to wring every literal bit of capacity on communications networks. And, here we are, seven decades later, still using “size six” channel widths. For that reason, 6 MHz is to the video engineer what the inch is to the carpenter: An enormously familiar, tried-and-true unit of measure. So, as cable lingo goes, 6 MHz is the good old wagon: Steady, reliable, fundamental. Then, digital happened. 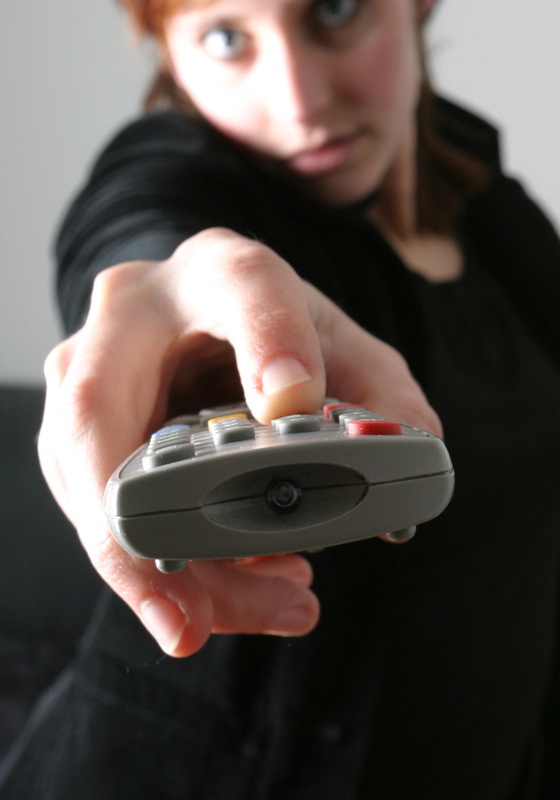 Video channels, after being digitized, could be squished down – hello, compression – such that many more fit in the space of the original analog channel width. Ten to 12 standard definition, two to three high definition, goes the math, for video compressed with MPEG-2. That made the thinking change. If all channels are available digitally, and can be compressed not just with MPEG-2, but with MPEG-4, and beyond it, H.265/HEVC, and if the carrying capacity for digital is measured in Megabits-per-second (Mbps), not so much MegaHertz (MHz), is it still relevant, to think in those old-fashioned, analog, size six chunks? Probably not, but don’t watch for any weird flash-cut to erase 6 MHz spacing. Nor is it likely to anticipate a different official sizing – the 3 MHz channel, or the 1 MHz channel. Instead, and as traditional 6 MHz channels get bonded together to make larger passageways for IP-based services, we’ll wind up with several really big “channels” – 24 MHz, 48 MHz, and so on – with differing “service flows” of voice, video and data running inside them. Ultimate big-size channel? Depends on the upper spectral boundary, but upwards of 700 MHz, anyway. When does this happen? As with the transition to all-IP, the forces driving it will continue pushing and pulling – until one day, they’ll be gone, and we won’t really notice the difference. But your engineers will, and they know how to get you there. They’re already doing it. While our opinion of Apple’s version of the Hulu Plus app is generally favorable, there are a few things that the standard UI does better (we’ll compare those in a future post.) Regardless, this is a huge improvement to the Apple TV in terms of content. And Hulu Plus isn’t the only new way to get content on Apple TV. If you have a recent (more on that in a bit) Mac computer running the latest version of Mac OS X (Mountain Lion), you can use AirPlay Mirroring to watch any web video on your Apple TV. That’s right – free video from Hulu, network websites, Amazon, all can be watched on the Apple TV now. Because this website is called “Translation Please,” after all, allow me to take a moment to explain Apple’s AirPlay, and not assume that everyone reading this knows what the heck it is. So – AirPlay is Apple’s proprietary wireless streaming protocol, which allows you to send content between devices on the same wireless network. Originally this was only implemented in Apple’s software and devices, but is now used by third parties — mainly wireless speaker manufacturers, but the XMBC media center software (and therefore the Boxee Box) also support AirPlay. 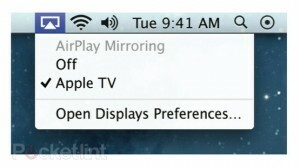 With Mountain Lion’s AirPlay Mirroring feature, you’re sending your entire screen up to the Apple TV. 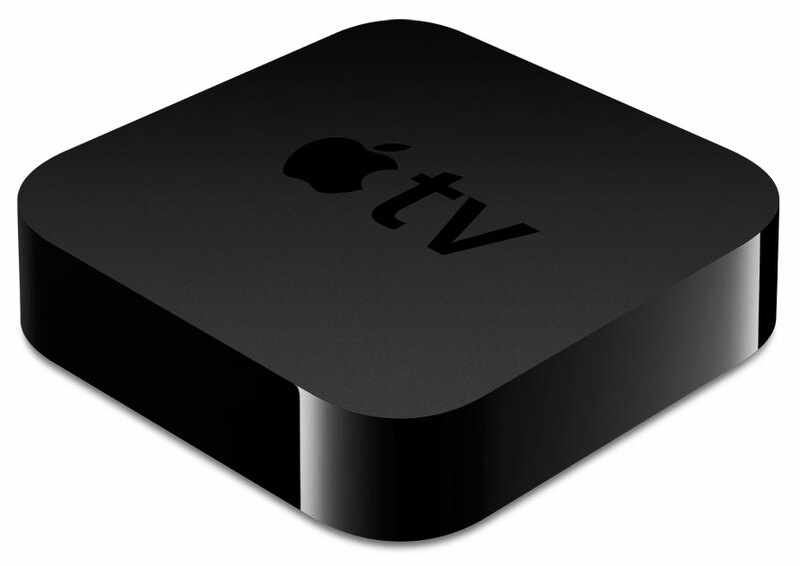 And it’s handy not only for watching web video on the Apple TV, but also for presentations, photos, and the like. For me, mirroring my laptop to the Apple TV is usually much quicker than switching over to the Mac Mini that I typically use to watch web video. 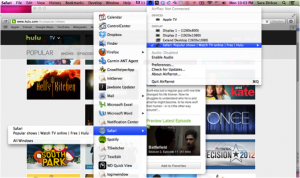 From a compatible Mac computer running Mountain Lion, you just select the AirPlay icon on the top menu bar, then choose your Apple TV as the output device. Then your screen will be mirrored on the Apple TV, simple as that. In general, only 2011 and later model years will support AirPlay Mirroring. This is because AirPlay Mirroring requires Intel’s QuickSync video compression technology, which was first built into the Sandy Bridge CPUs released in January 2011. The steps for sending the video to your AppleTV are basically the same as with AirPlay Mirroring, you just click the AirParrot icon on the top menu bar and select your Apple TV as the output device. But unlike AirPlay Mirroring – and this is important to multitaskers like me — AirParrot lets you choose a specific program to send to the output device if you don’t want to mirror your whole screen. Even better, AirParrot will allow you to choose a specific window within a program to display on screen. This means you can have a video streaming to the AppleTV from your web browser, uninterrupted by whatever you happen to be viewing on your computer screen. As someone who tends to multitask while watching TV, I really like this feature. In fact, I like it so much, I consider the lack of it on AirPlay to be somewhat of a demerit. We’ll delve into the relationship between number of buttons and useability of the remote control another time, because that’s a post in itself. Maybe more than one! So far so good. Except for one important technical distinction: By definition, video delivered via a cable modem – in IP — isn’t broadcast. It’s switched. Broadcast is one to many. One channel, one “stream,” sent over the air or over a wire, to millions of receiving TVs. Stuff that goes through the headend part of the cable modem – the CMTS, for Cable Modem Termination System – is inherently switched. Session-based. Clicking on a link to watch a YouTube instantiates a stream between them and your screen. One to one. Unicast is fine, but it’s a bear on bandwidth. Imagine if we all streamed the SuperBowl as unicast sessions. Hundreds of millions of people, all asking for the same thing — but it ships stream by stream, not in bulk. Instead of asking for your own stream, you do the streaming equivalent of flipping up the flag on your (physical) mailbox. Then you “join” that stream, along with anyone else in your node who may be streaming it. Switching is not a new one on cable. 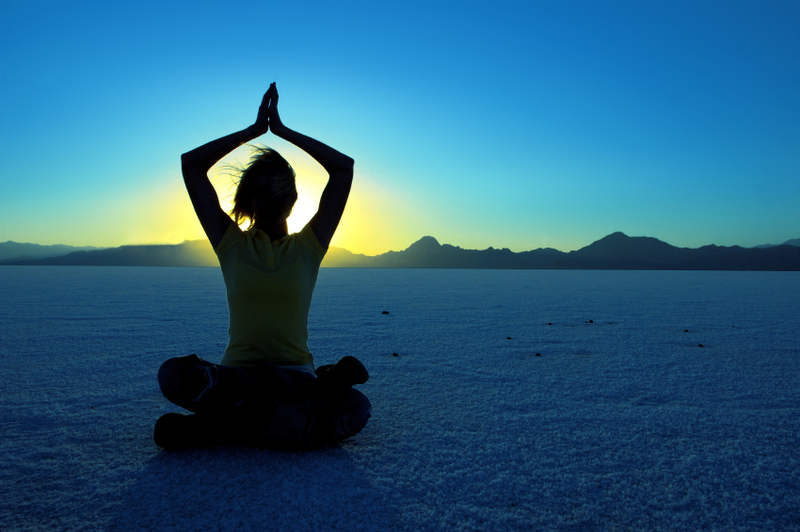 VOD was the first example – you request a movie, the VOD server sets up a session with you and only you. Next, switched digital video (SDV) technologies emerged as a way to recycle available digital bandwidth. Does this linguistic gymnastics matter? Not really. Television will continue to steamroll onto different screens, served by different networks, in different ways. But the next time you hear “linear IP video,” you can at the least make a snappy remark about how it’s technically not linear, because it’s switched. So there.